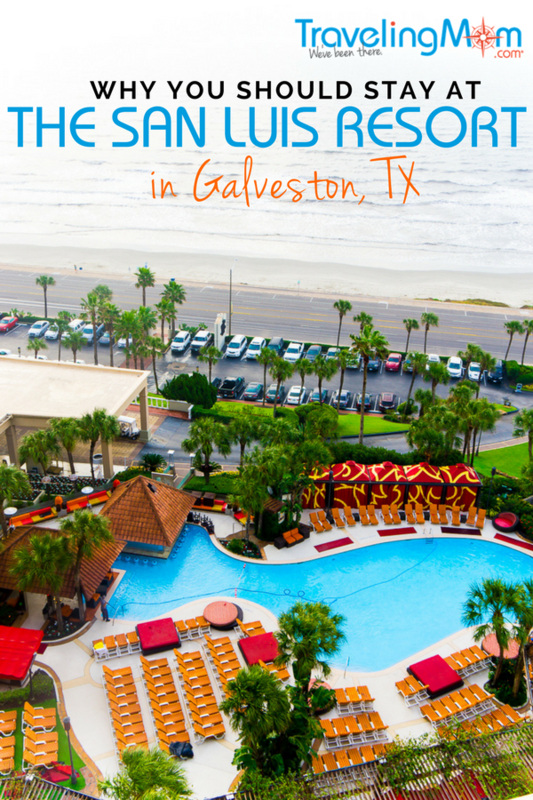 With a spa, conference center, numerous on-site restaurants,, and family-friendly room options, the San Luis Resort is one of the best hotels in Galveston, TX. It’s also steps from the beach and a great location to stay during an extended visit to Galveston Island. Or consider it when you just need somewhere to stay the night before a cruise. 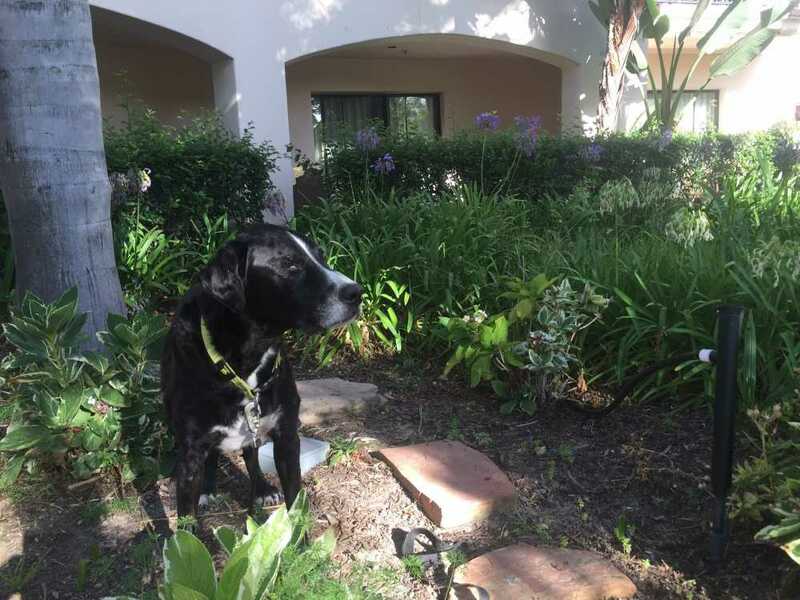 When my girlfriends and I needed a getaway, we chose The San Luis Resort in Galveston, Texas, a 32-acre property made up of a beachfront hotel, a gorgeous pool area, a spa, conference center, and five restaurants. 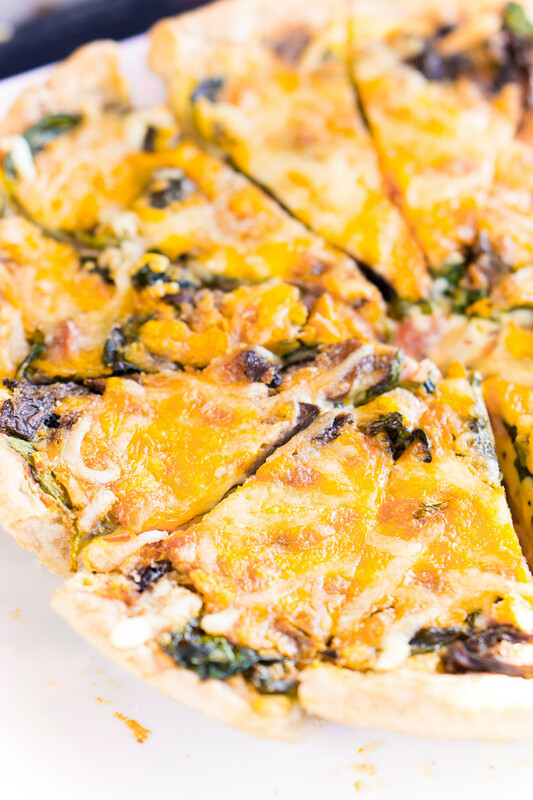 They range from an ice cream shop to an upscale Italian eatery. 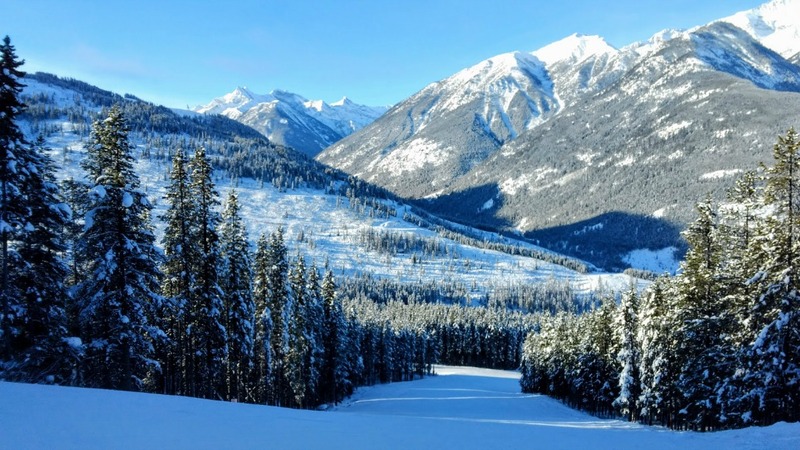 While I thoroughly enjoyed the resort with my girlfriends and think it’s overall very family-friendly, it’s likely not a place I would choose for a family bringing toddlers or small kids. It’s a large resort, which means a lot of walking to get from place to placeWe visited San Luis Resort in January 2017, which is off-season in Galveston. Prices for standard rooms started around $160 for a premium room. Prices rose from there as rooms got larger, had better views, and additional sleeping options. During our visit there was a large beekeepers conference going on and the hotel was filled to max capacity. 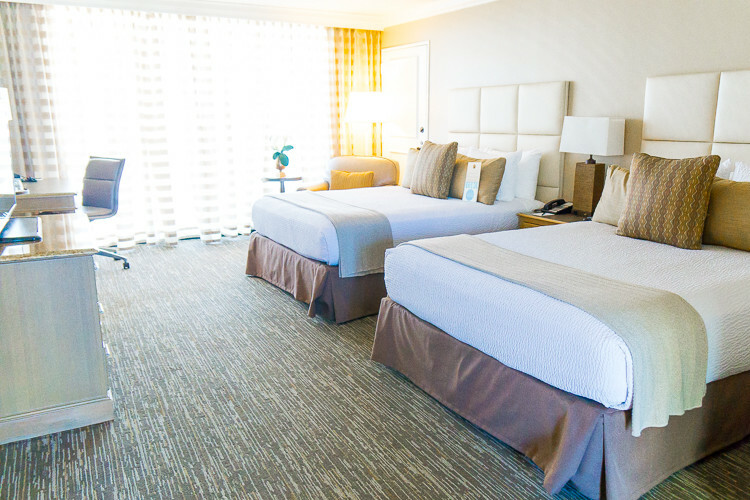 Because the resort often hosts conferences, I recommend booking rooms well in advance to ensure you can get a room. One of the best features of the San Luis Resort is that it’s a resort, not just a hotel. When we were hungry and didn’t want to drive anywhere, we walked downstairs. There we had our pick of a variety of restaurants that served quality food. When we wanted to relax, we booked an appointment at the spa. Another option was to reserve a cabana at the pool outside, or walk across the street to the beach. We never had to leave the resort if we didn’t want to, which when you’re visiting somewhere to get away from it all, is a great perk. The San Luis Resort was also one of the largest properties that we saw on Galveston Island, which made it very easy to find even amidst some of the worst fog I’ve ever seen. 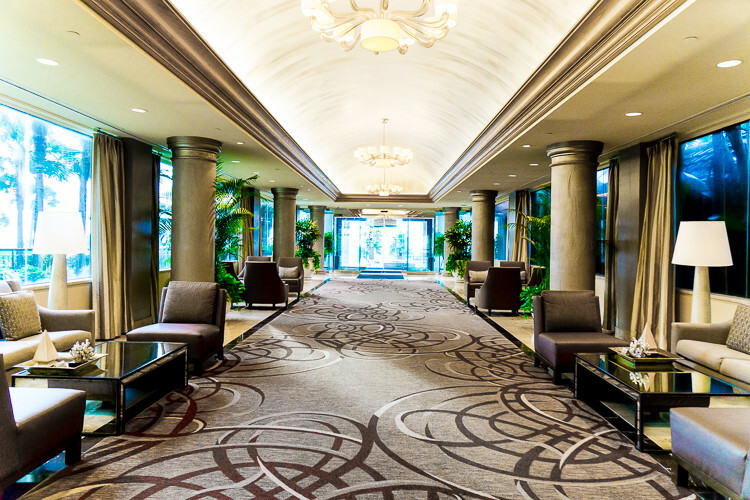 If you’re checking in and don’t want to pay for valet, drive around back to the large visitor parking lot that’s complimentary for guests. Our group of five women was split between two hotel rooms on the penthouse floor. Each room came with two queen beds, a desk area, and a balcony with a beautiful view of the pool, beach, and ocean. The main difference between the two rooms was the size of the bathrooms. Our bathroom was small with a tiny sink and a Keurig coffee maker taking up a good portion of the open bathroom counter. The small size of the bathroom made it difficult for us to get ready in the bathroom. We ended up doing pretty much everything, other than showering, using the mirror in the bedroom instead. The other bedroom had a larger bathroom with two sinks and much more space to walk around. If the bathroom space is important to you, make sure to upgrade and book a premium room over a standard one. If you’re looking for a short romantic getaway or splurge, the San Luis Resort also offers private villas. Luxury amenities include their own private hot tub, sitting room, complimentary breakfast, chocolate covered Oreos, and even a butler. The five villas share a private pool with in-pool chairs, beds, and more. It’s an adults only experience and with prices starting at $750 a night in off-season, definitely one for a special occasion. 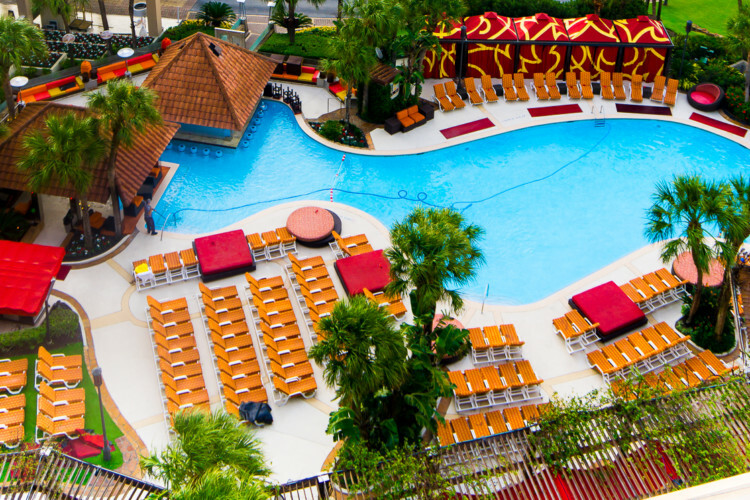 The main seller of the hotel is the beautiful pool and H20 lounge area near the pool where you can grab snacks and drinks while you play in the pool. It was too foggy and cold for us to actually get in the pool during our stay, but the pool, hot tub, and rock water slide all looked both clean and inviting. If you like a little privacy during your pool time, there are also private cabanas available to rent. They come complete with TVs so you can watch your favorite show while you relax by the pool. 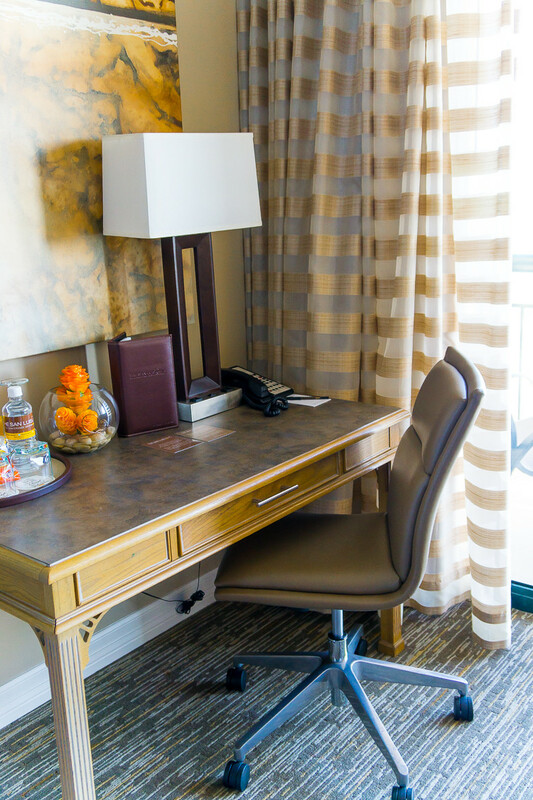 The other amenities provided by San Luis Resort are popular in-room items such as free Wi-Fi, free bottled water, chocolates on your pillow during turndown service, robes, and coffee makers. We were disappointed to find that our room did not come standard with a mini-refrigerator to store our leftovers from the on-site restaurants. However, mini fridges are available on request for an additional nightly fee. As long as you’re okay with paying for food, the San Luis Resort dining options are where the resort really shines. With ten different restaurant options ranging from a steakhouse to a Rainforest Cafe, there are food options for everyone including traveling families. I’m a picky eater. But I was able to find something during our lunch at Blake’s Bistro, Italian dinner at Grotto’s, and grab and go desserts from Cup & Cone. Everything I ate was tasty, but it all also came with a fairly high price tag. If you’re looking to save money, try the on-site IHOP or eat at a restaurant off-site. I wouldn’t recommend staying in the San Luis Hotel itself with young kids. But the resort area features three additional on-site properties that might be a better fit. 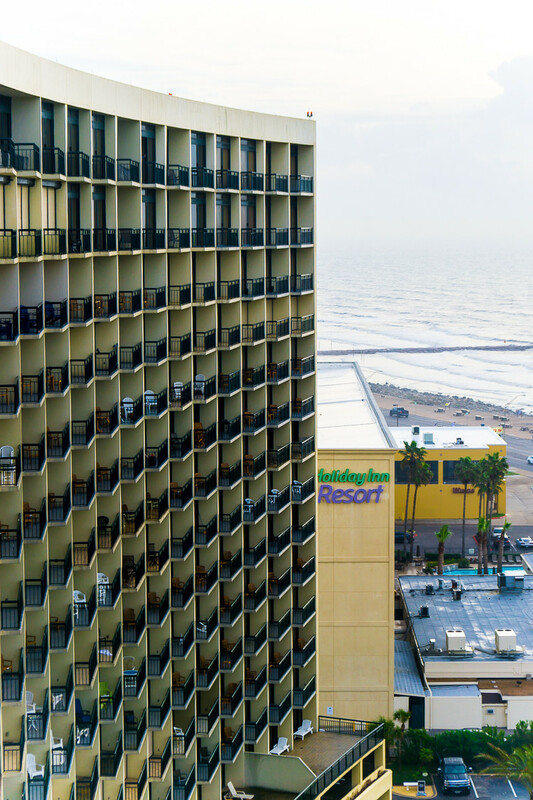 They include the Hilton Galveston Island, Holiday Inn Resort on the Beach, and the San Luis Condominiums. The San Luis Resort website has more details about the additional lodging options available.